Home / SkinCare / Bedook Skin Care. Skin care company Bedook specialise in producing all kinds of skin care products that are produced from independent research and a highly qualified development team, helping the brand gain a reputation in their market. 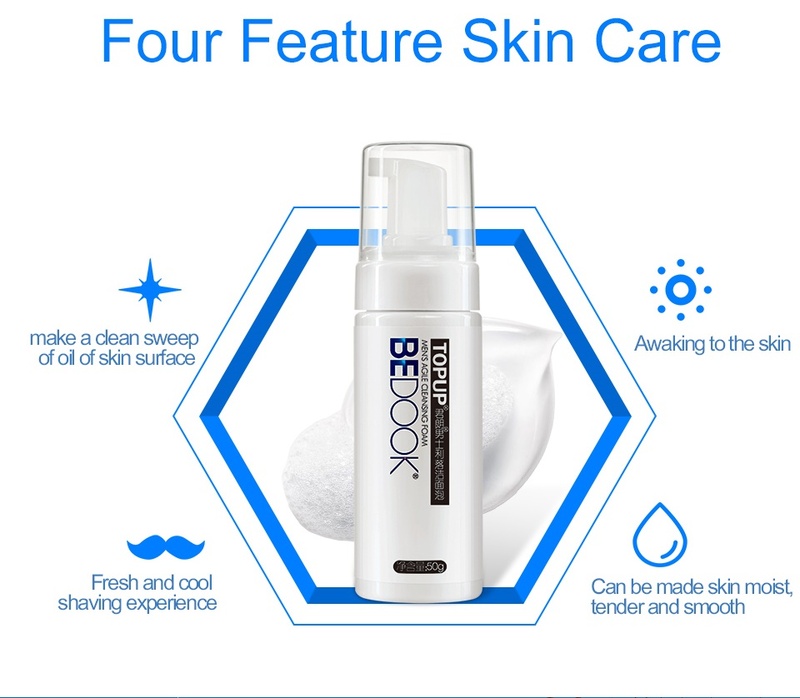 Bedook offer a skincare range that caters for any skin type and problem you may be suffering from such as acne, dull and dry skin, anti-ageing and much more. The highly popular range was currently only available in china, but Bedook products are soon available on all platforms such as Amazon, eBay and many more. 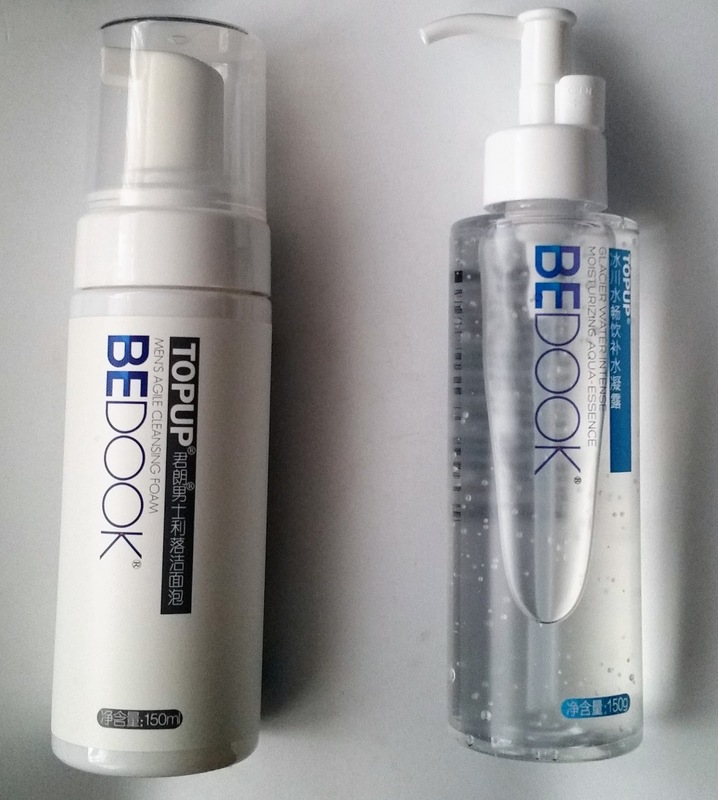 The Bedook TOPUP Men's Agile Cleansing Foam is perfect for those who are looking for a multi-beneficial, hassle-free skincare product. Boasting four skincare features that can improve your complexion without compromising your skins health, these are deep cleansing, cooling, moisturising and also can be used as a shaving foam. Removes excess oil for a cool and refreshing experience, great for those mornings when your skin needs a quick wake up. Purifying pores without drying out skin, hydrates and balances skin for a more uniformed skin tone and complexion. A soothing dense foam that gently soothes any skin, making it suitable for all skin types. Pressing the pump head to dispense 2-3 pumps in your hand, you then apply the light cleansing foam to damp skin using massaging movements. Washing the cleanser off with warm water, skin feels clean without being overly stripped of its moisture and feeling perfectly hydrated. 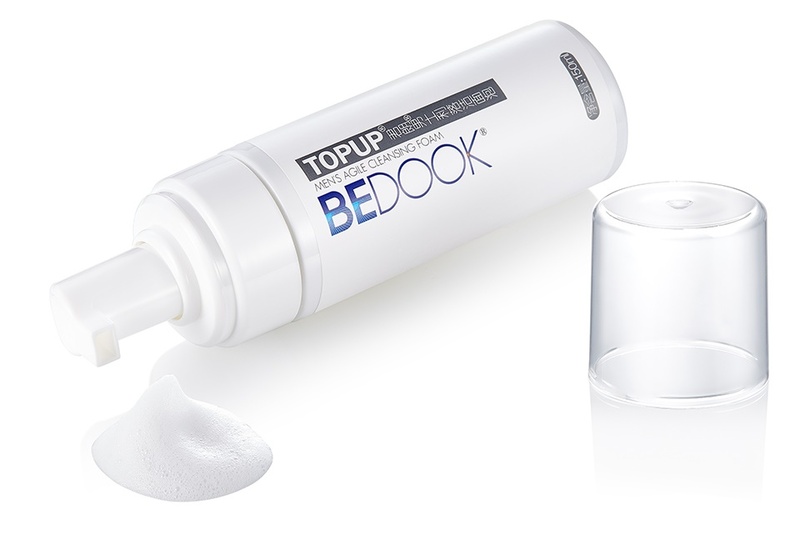 The Bedook TOPUP Men's Agile Cleansing Foam is great for those who don't want to commit to a skincare regime involving lots of products. The Bedook Glacier Water Intense Moisturising Aqua-Essence is an hydrating serum with AQUAXYL™ to boost hydration for all skin types. The lightweight formula glides over skin instantly cooling and refreshing, whilst absorbing quickly to leave your complexion illuminated, hydrated, fresh and healthy-looking. 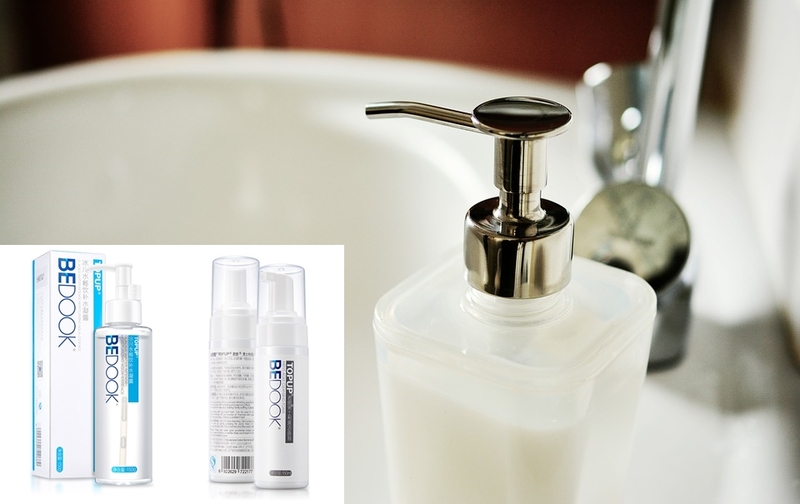 Relives dry skin and continuously hydrates skin thanks to the Hyaluronic Acid. Selaginella Tamariscina Root Extract promotes blood circulation and keeps moisture balance in skin. Chrysanthellum Indicum Extract has anti-inflammatory and soothing properties. Allantoin renews and improves skin whilst actively soothing. 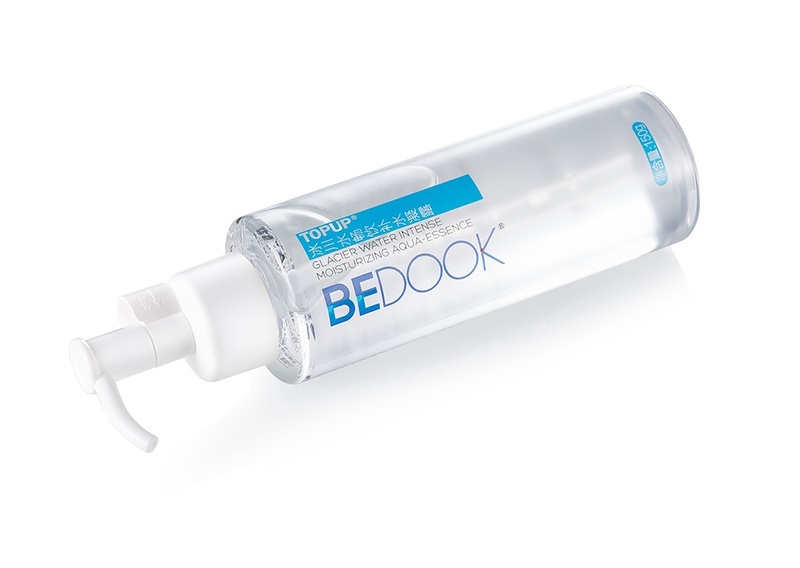 Applying the Bedook Glacier Water Intense Moisturising Aqua-Essence to skin after cleansing and toning using massaging movements with your fingertips. The pump applicator dispenses just the right amount to cover your whole face and your skin will feel the instant cooling effect once applied. I was really impressed on how quickly this serum absorbed leaving skin extra hydrated, smooth and soft without any greasy feeling or shine. You can also apply throughout the day over your skin products and make-up for a quick hydration boost whilst also calming and soothing any irritated skin.